The return to religion has perhaps become the dominant cliché of contemporary theory, which rarely offers anything more than an exaggerated echo of a political reality dominated by religious war. Somehow, the secular age seems to have been replaced by a new era, where political action flows directly from metaphysical conflict. The Faith of the Faithless asks how we might respond. Following Critchley’s Infinitely Demanding, this new book builds on its philosophical and political framework, also venturing into the questions of faith, love, religion and violence. Should we defend a version of secularism and quietly accept the slide into a form of theism—or is there another way? 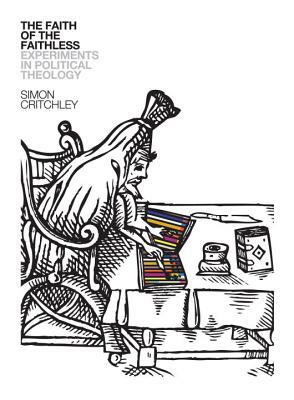 From Rousseau’s politics and religion to the return to St. Paul in Taubes, Agamben and Badiou, via explorations of politics and original sin in the work of Schmitt and John Gray, Critchley examines whether there can be a faith of the faithless, a belief for unbelievers. Expanding on his debate with Slavoj iek, Critchley concludes with a meditation on the question of violence, and the limits of non-violence. Simon Critchley is Hans Jonas Professor at the New School for Social Research, and a part-time professor of philosophy at Tilburg University in the Netherlands. His many books include Infinitely Demanding, Ethics–Politics–Subjectivity and, most recently, The Book of Dead Philosophers.